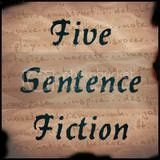 This entry was posted in Five Sentence Fiction and tagged Beginning, Ending. Endings such as this so bittersweet. The gift of release for her, a profound sense of loss that those remaining will live with forever. Strong writing. Thank you Josie. Having stood at that bedside just 6 months ago I found writing this piece a very personal experience that took me back to that place once again. I appreciate your kind comment. Thank you so much Jayne.